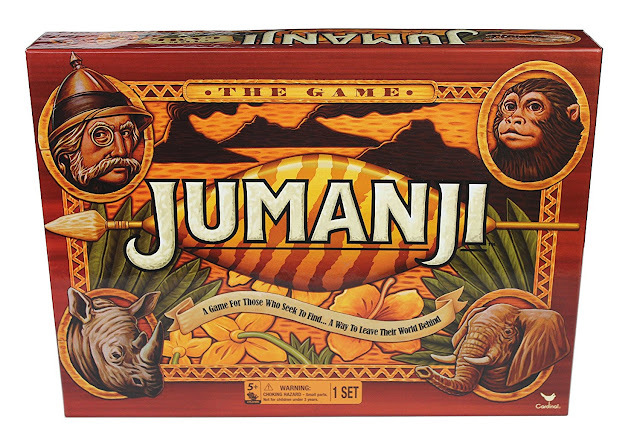 Whether you are fan of the book by Chris Van Allsburg, of the original movie starring the late Robin Williams or of the remake with Dwayne Johnson, you should check out this board game.The story Jumanji originated with the popular 1981 children's book by Chris Van Allsburg. 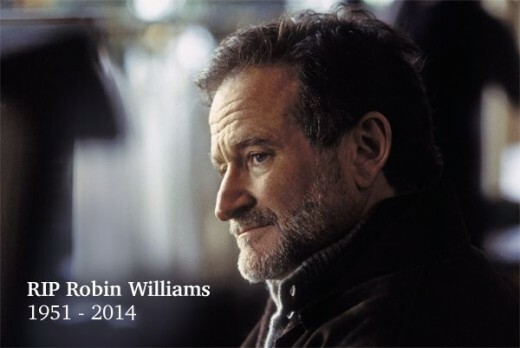 In 1995 it was made into a movie starring Robin Williams and into a board game. Once again, it was made into a movie in 2017. This time it starred Dwayne Johnson and once again it was made into a board game. As a matter of fact, I originally wrote this review before the new version was produced and, at that time, it was often priced out of reach. Because of the reboot, the game is once again available and it is affordably priced. 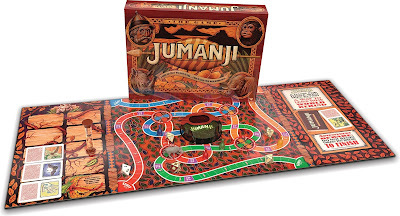 As you likely know, the story Jumanji actually includes a board game, which makes a board game a pretty interesting movie tie in. In the original game, which was recommended for two to four players aged 8 and up, you roll the die and follow the path on which you are pitted against the dangers of the jungle. Raging rhinos, lurking lions and quicksand are but a few of the pests and plagues you might have to battle in this game. The new game is recommended for individuals 5 years old and up. My description of the game is from having played the original version so I am not sure what might or might not have been changed with the new version. Anyway, the original version of the game includes a large game board, four pawns or playing pieces, a rhino figure, a timer, a number die, four rescue dice, 30 danger coards, a game board center, a decoder and instructions. Of course, those familiar with the first movie know that Robin Williams was the star who took us on our Jumanji adventure on the big screen. The world lost this brilliant actor and comedian when he left us on August 11, 2014. Williams was a lot of fun in the movie Jumanji. 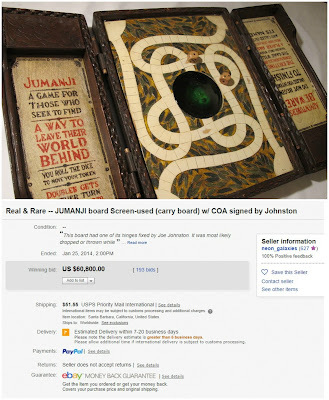 If you are interested, you can read more or buy your copy of Jumanji the board game on Amazon by clicking right here. Of note, both versions of the game are available though you will pay more for the original. If you know a really big fan, why not assemble a Jumanji gift set with a copy of the book, the movie and the game? My boys would have loved a set like that. They might actually still enjoy it. Are you a fan? Do you like the Jumanji movies? The board game? Have you played the new version or the old version? Author's Note: This page originally published elsewhere.